Recently the U.S. Department of State released their International Religious Freedom Report for 2012. There is a section on Mauritius in this report which is generally positive. What we have here in paradise is a society where each person can practice their religion in freedom. Example, we do not have restrictive laws such as in certain EU countries that forbid girls and women to wear the hijab in schools or workplaces. In schools here you will find some Muslim girls freely wearing the hijab. The government always has a difficult task of allocating public holidays to accommodate the various major religious days. With already nine religious and national holidays set in the year it is not always possible to satisfy each and everyone in the community. However, every part of the community seems to be well organised in observing major religious events through their cultural-religious associations. 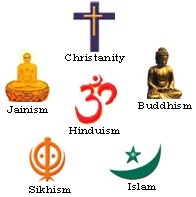 Generally, people are familiar with each other’s religious holidays and events. This understanding in the mixed community results in respect for the neighbour. The government and cultural unions keep a watchful eye for ethnic and religious tensions. Defamatory or insulting behaviour is quickly dealt with by the law. The State and the people wish to continue to have a harmonious and peaceful society. As with any society there will always be people who want to upset the balance mostly because of self-gain, jealousy or hatred. Hence, the particular official monitoring for any ethnic or religious intolerance. According to some reports a certain amount of societal discrimination still remains. This is probably still a legacy of the colonial days. However, with time, the young mindset is changing this with a renewed patriotic outlook which promotes Mauritianism. In this respect, it is worth watching over your Garden of Eden.